My sister and brother-in-law are having their second child in July. 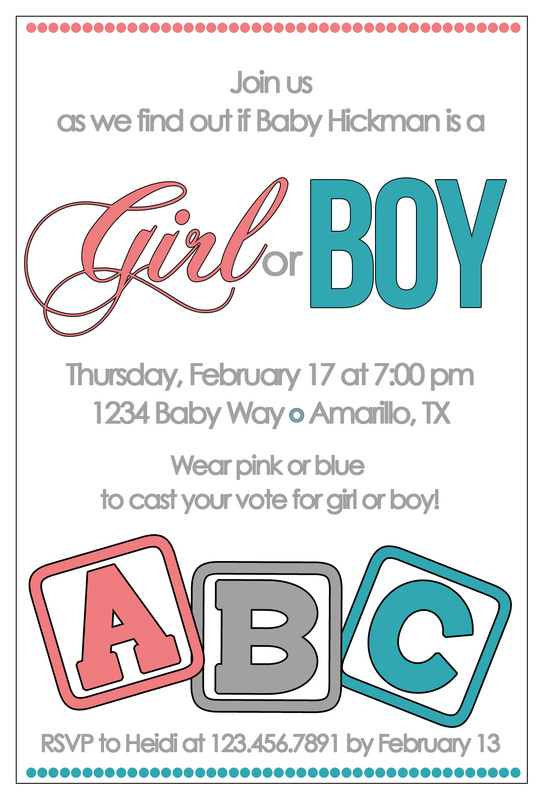 Since the last time she was pregnant, a new trend of gender reveal parties has popped up and she’s considering throwing one this time around. She mentioned that as she was searching the internet for some creative ideas, she never came across invitations that she really liked. (Not that she would order from anyone else!) So, I took the challenge and came up with something that maybe she’ll use if she decides to throw the party!